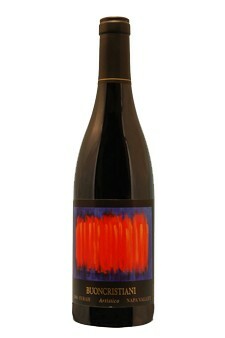 The 2006 Syrah is an excellent concentration of dark berry flavors, ripe fleshy tannin, and deep dark pigment. 17 Months aging in 40% new French oak barrels rounded out the palate even further, while adding more texture, aroma, and flavor components. Expect to find wild blackberry, violets, blueberry, cocoa powder, anise, white pepper, exotic spice, chocolate fudge, and the Buoncristiani signatures of balance, depth on the mid palate, and a lengthy persistent finish.